Perhaps you’ve had a bad experience with concentrates in the past. In the world of juices the phrase “not from concentrate” is supposed to make you feel better about what you’re drinking. 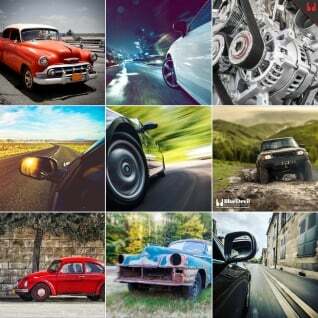 In the world of wiper fluid, concentrate can be one of your best friends. Concentrates of anything are made in a simple way, by removing a significant amount of the dissolving agent, in most cases water. Most liquids are made up of a lot of water with a small amount of other ingredients. Making a concentrate simply means removing the water and leaving the other ingredients which makes a concentrated solution. Usually products are concentrated to make them easy to transport and to store, and because it is very easy to add the water back in just before you are ready to use the product. Using wiper fluid concentrate gives you all the same benefits. Wiper fluid usually comes in large 1 gallon jugs that can take up a significant amount of storage space in your house or garage and can be too tall for many shelves or cabinets to accommodate. Also, most car manufacturers do not make their wiper fluid reservoirs to hold an entire gallon of washer fluid, they make them so they are easy to manufacture and fit properly in your vehicle. This means that once you’ve purchased washer fluid and added it to your car, you always will have this awkward amount of left over fluid in a huge jug that you have to store until need to use it again. BlueDevil Washer Concentrate gives you the advantage of only having to buy only a very small bottle of concentrate that will make up to 16 gallons of wiper fluid! In warm weather you can add 1 oz of BlueDevil Washer Concentrate to 1 gallon of water to make wiper fluid. If you only need a little bit to top off your wiper fluid reservoir you can us a half an ounce in a half gallon of water or make just as much as you need. The other great benefit of using wiper fluid concentrate is that you only need one bottle for all weather conditions. In warmer weather, 1 ounce of concentrate will give you plenty of cleaning power to wipe away even the most stubborn of bugs or road grime that is stuck on your windshield. 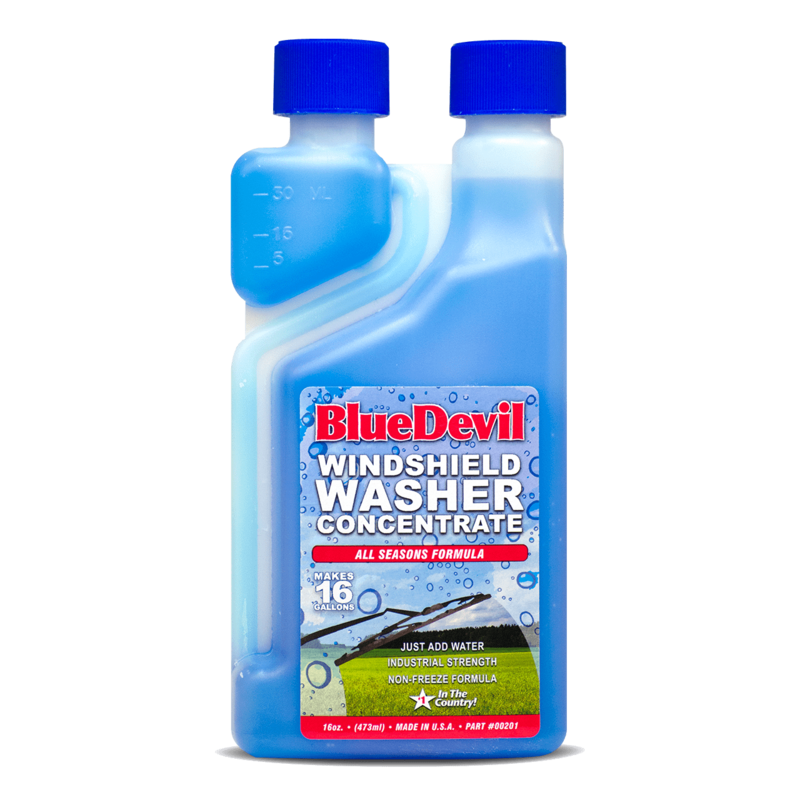 In the winter you can add 4 ounces of BlueDevil Washer Concentrate to 1 gallon of water to create a formula that won’t freeze during cold nights and will make sure your windshield washing system is always ready to do its job. Your windshield washing system is one you often don’t think about until you need it that most. Being able to see clearly through your windshield is very important for your safety and the safety of those riding with you, and those driving around you. 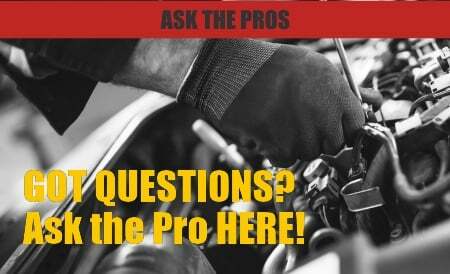 Besides changing your windshield wipers every 30,000 miles, or when they begin to deteriorate, keeping your wiper fluid reservoir full of the correct fluid is the only maintenance you have to perform on the system. Using wiper fluid concentrate can save you space, time money, and make sure your windshield washing system is operating at its peak. 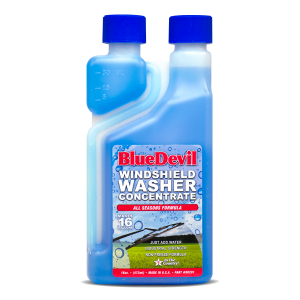 Pick up BlueDevil Windshield Wiper Fluid concentrate directly from BlueDevil by ordering it here. Sounds good,i’ll pick some up at advance auto parts store this weekend. Why Is My Car Overheating in the Winter? — How Do I Seal My Hydraulic System?